California Citrus vs. Florida Citrus: Which Should You Choose? Which beach is the Florida beach? Here’s a quiz for you: which beach is in California and which beach is in Florida? Both scenes are beautiful, but if you guessed that A is in Florida and B is in California, you’re right. In both pictures, we see sand, surf, palm trees, and a warm-weather paradise…but that aqua-blue water gives us away! Just like these two beaches, oranges and other citrus from Florida and California may look similar at first glance--but they’re actually very different. Let’s take a look at how Florida citrus compares to California citrus, so that you, the consumer, can make an informed choice. According to famous author John McPhee, who wrote an entire book about oranges, Californians say you have to “get into a bathtub” before you eat a Florida orange, while Floridians say you can’t make a damp spot on pavement with a California orange, even if you run it over with a truck! This difference is all about rainfall. Down here, as all of us who live here know, we get more than plenty. (It storms just about every afternoon in summer!) Out in California, especially recently, it’s often bone dry. Why? Weather again. The nights in California are chillier than they are here in extra-balmy Florida, and cooler weather (below 55 degrees) brings out the deeper orange. In particular, you may notice that Florida navels are paler in color than California navels. However, deepness of color is not an indicator of deepness of taste! Did you know that in tropical countries, oranges often ripen completely without really turning orange at all? So…does size matter? Well, yes and no. Customers expect oranges to be a certain size—it’s just what they’re used to. Here in Florida, navels sometimes get so big (think bigger than a softball!) that they’re a bit hard for us to sell. Likewise, some varieties turn out kind of puny on the West Coast. California citrus is more likely to have a flawless finish. The higher humidity and rainfall here in Florida make for a thinner-skinned fruit. We think this is a positive (ever peeled an orange and felt like there wasn’t actually much left by the time you got the skin off?) However, it’s true that this softer, thinner skin can sometimes be a little harder to remove. California citrus is more acidic, while Florida citrus is sweeter. Once again, climate is the key. The lower temperatures in California groves pump up acidity levels in their fruit, while the milder, more tropical weather in Florida means our fruit is sweeter. This is why Florida doesn’t grow lemons (they just wouldn’t be tangy enough), while California doesn’t grow grapefruit (too much pucker!) It also means that certain other sweet varieties grow better in one state than the other. Tangelos and Honeybells, for instance, are delicious when grown in Florida, but aren’t well suited to the California climate. So, should you choose Florida or California citrus? That depends on what you want. If a thick-skinned, bright orange fruit with less juice and more acid appeals to you, go for California citrus. But if juicy sweetness is what really matters, we suggest you “pick” Florida citrus for yourself and your friends and family. We think you’ll be pleased. I'll take a Florida orange any day! 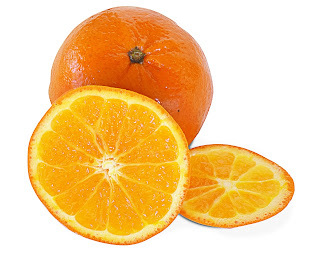 This year I have seen only Calif.oranges here in stores in my area in PA. Too acidic.